armed forces during the time of the Cold War – and when he retired. actually live here, on planet Earth. Is this fantasy? Is someone actually watching us? UFOs are a serious business. Sophie Shevardnadze: Our guest today is the Honorable Paul Hellyer, former Minister of Defense of Canada, and he believes that life forms from space are present on Earth. It’s great to have you on our show. Why do you say that UFOs are as real as airplanes flying over our heads? Paul Hellyer: Because I know that they are. As a matter of fact, they’ve been visiting our planet for thousands of years and one of the cases that would interest you most if you give me two or three minutes to answer is that during the Cold War, 1961, there were about 50 UFOs in formation flying south from Russia across Europe, and Supreme Allied Command was very concerned and about ready to press the “Panic” button when they turned around and went back over the North Pole. They decided to do an investigation and they investigated for 3 years and they decided that, with absolute certainty, four species – at least – had been visiting this planet for thousands of years. We have a long history of UFOs and of course there has been a lot more activity in the last few decades, since we invented the atomic bomb and they are very concerned about that and the fact that we might use it again, and because the Cosmos is a unity and it affects not just us but other people in the Cosmos, they are very much afraid that we might be stupid enough to start using atomic weapons again, and this would be very bad for us and for them as well. 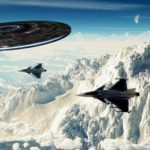 SS: No ‘serious’ scientist has ever publicly confirmed evidence of an encounter with extra-terrestrials – why would scientists not confirm the facts if they exist? PH: I’m afraid they must go out of their way not to find out. Even if they do 10 percent of the amount of research I’ve done in the last 8 years they would be as convinced as I am. I mean, they could do it even faster. Might take it a little longer, when they didn’t have military background, but there are so many wonderful books that tell these stories and they’ve been authenticated; the sightings have been authenticated by more than one witness and also by radar, and they have landed in various places around the world, including Russia. There’s just so much evidence, if anybody will take a time off to do a little bit of research and study. Some people are interested and will take the time, and the others just say “Oh, you know it’s just fantasy”. Since I’ve been public on this subject I get probably three or four emails a week from all over the world, from people who’ve actually witnessed sightings, and some of them who’ve actually been on the ships, and some of them who’ve actually been transported to another planet. This information… it is top secret in a way that governments don’t talk about it, but if you listen to whistleblowers and to the people who have worked in the industry, and who know what is going on, there’s just a lot of information out there and it doesn’t take very long to get your hands on it. SS: See, the problem is that some who report UFOs sightings and alien abductions have been shown to make things up to be famous, to make money – or just for a prank. How do we tell fiction from a fact? PH: You have to spend a lot of time trying to find… we use to say “separating wheat from the chaff”, and it takes a lot of effort. When I was minister I got sighting reports and when we checked them out, about 80 percent, 8 out of 10, were not real, they were sights of Venus or of plasma or a dozen other things, but there were 15 percent or 20 percent for which there was no explanation and they were the genuine unidentified flying objects. One of the conferences I went to… it was in Las Vegas… was promoted by a chap who had written a book about crashes and there were dozens and dozens of them and many of them very-very well authenticated, so it would be impossible to read of that evidence and not come to the conclusion that these vehicles were real. SS: Have you ever had your own encounter with aliens? PH: Not encounter with aliens, no. I’ve seen a UFO, about 120 miles north of Toronto, over Lake Muskoka, where I have a cottage. …and she looked there and we watched it until our necks almost broke for about 20 minutes, and it was definitely a UFO because it could change position in the sky by three or four degrees in three or four seconds. I checked out – there were no satellites that could do that, a space station wasn’t going by and it isn’t able to move that fast anyway and there was no other explanation except that it was the real thing. Two days later I went down in the dark, got a comfortable chair, and watched. It came back almost at the same spot and entertained me for as long as I could take it. Then I went back to the cottage but it was very interesting because it would drop down in the sky and then it would roar back up and it would shift across a few degrees and do a circle and come back at just an astronomical speed, since you know they travel very-very fast. SS: So does it just look like a falling star that falls really quickly and then rises again? What does it look like? PH: Well, it looked just like a star. SS: It looks just like a star? PH: I don’t know if you personally have ever read the Bible or not but I think the star of Bethlehem was one of God’s flying saucers. SS: You also told me that people write you emails, three to five emails a week, and they’ve actually been abducted or they had encounters with aliens. Do they actually tell you what these aliens look like? I mean, everyone’s interested – how would I know if I see an alien and he abducts me? 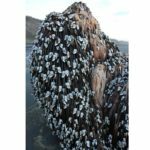 PH: First question you have to ask is how many species are there? I used to think there were between two and twelve. Apollo astronaut, Edgar Mitchell, who came to Toronto a few years ago and had with dinner with us agreed there were something around two and twelve, but the latest reports that I’ve been getting from various sources are that there are about 80 different species and some of them look just like us and they could walk down the street and you wouldn’t know if you walked past one. They are what we call “Nordic blondes” and also the Tall Whites who were actually working with the US air force in Nevada. They’re able to get away with that, they had a couple of their ladies dressed as nuns go into Las Vegas to shop and they weren’t detected. I have a friend who saw one of the men walking along the street, he is somebody who can recognize that they were different, and he did. Then there’s the Short Grey’s as they are called, and they are the ones you see in most of the cartoons, they have very-very slim arms and legs, they are very short, just a little over 5 feet, and they have a great big head and great big brown eyes. But, there are different species and you have to know that they are different species and know that they all are different. SS: So these species that you are describing – are they all different in terms of nice and mean? Are some of them nice and benevolent and others nasty, how are they? Are they good to people on Earth or are they here to harm them? PH: It’s a difficult question to answer, because they have different agendas and maybe all of us on Earth should have the same agenda, but you couldn’t say, maybe, that Russia and China and the US all had the same agenda at every turn, because they don’t. I would say that nearly all are benign and benevolent and they do want to help us, there may be one or two species which do not. That’s one of the things I’m investigating at the moment, to see who they are, what they are up to and what their agendas really are. SS: These extraterrestrial creatures – where did they come from and how did they get here, to Earth? PH: They come from various places. For a long while I only knew about ones who came from different star systems – the Pleiades, Zeta Reticuli and several other star systems… but in the past few months I have met [those] who made me aware that there are some in our star system, and that there are actually extraterrestrials who live on a planet called Andromedia, which is one of the moons of Saturn and that there are others on Venus and some on Mars and that they may be interacting between themselves – I suspect that they are because there is what is called a “Federation” of these people and they have rules. SS: But, what do you mean, there are lots of people who want to interact with them, there are a lot of people who actually want to see them and to know who they are. What, do they need a special invitation to interact with us? What does it mean – “they don’t want to interfere with our affairs”? PH: They don’t want to tell us how to run our affairs, they have accepted the fact that this is our planet, and that we have the right to run it, but they are very-very concerned: they don’t think we are good stewards of our planet, we’re clear cutting our forests, we’re polluting our rivers and our lakes, and we’re dumping sewage in the oceans, and we’re doing all sorts of things which are not what good stewards of their homes should be doing. They don’t like that and they made it very clear. As a matter of fact they have given us a warning. SS: How have they made it clear, what have they done? PH: They have talked to people. One of the chaps I’ve talked with about a month ago was interacting with them in 1974, he and his brother, in Peru. They were taken to Andromedia, teleported. They were told what people there think and that we’re really wrecking our planet and in fact that something dreadful is going to happen to it if we don’t smarten up and change our ways. We spend too much time fighting each other, we spend too much money on military expenditures, and not enough on feeding the poor and looking after the homeless and the sick, and that we are polluting our waters and our air and that we’re playing around with these exotic weapons, thermonuclear weapons and atomic weapons, which have such devastating effects both on Earth and other areas of Cosmos. They don’t like that and that’s the reason they would like to work with us, to teach us better ways, but only, I think, with our consent. They work through individuals; they try and pick out individuals who won’t be frightened to death by them, because they can get you quite afraid. One of the cases I’m familiar with was with the Tall Whites in Nevada, where the US airman working with them was just frightened to death of them, and one, Charles Hall, rescued the daughter of one of the high-up people in the Tall White and as result became very good friends with the mother, and as soon as they could trust each other, they had a wonderful relationship. He wrote a book about it, called “Millennial Hospitality” – it tells you how you go through these stages, of being scared out of your wits, but then, when you establish a trust and a working relationship – you can have the same kind of relationship that you would have with someone here on Earth. SS: But here’s what I’m thinking: if you are outing their presence, which is clearly not what they want, since they are hiding, why aren’t you afraid of repercussions? 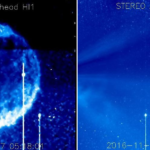 PH: They are here among us and I’m not afraid because in most cases, as far as technology is concerned, they are light years ahead of us, and we have learned a lot of things from them. A lot of the things we use today we got from them, you know – led lights and microchips and Kevlar vests and all sorts things that we got from their technology and we could get a lot more too, especially in the fields of medicine and agriculture if we would go about it peacefully. But, I think, maybe some of our people are more interested in getting the military technology, and I think that’s wrong-headed, and that’s one of the things that we are going to have to change, because we’re going to have to work together, all of us, everywhere on the planet. SS: You’ve mentioned military technology and swapping technologies and barters in-between aliens and people in American government. I want to ask you as a former minister of Defense of Canada – is interstellar war a possibility? Should we be creating a Star Wars force to defend ourselves from possible invasion or something like that? PH: I think it’s a possibility, but it’s a possibility especially if we shoot down every UFO that comes into our airspace without asking who they are and what they want. Right from the beginning we started scrambling planes, trying to shoot them down, but their technology was superior enough that we weren’t able to get away with it, certainly not for a long while. During that period of time they could have taken us over without any trouble if they wanted to, so I think, rather than developing our own Star Wars to protect ourselves against them, we should work with the benign species that are of a vast majority and work together, and rely largely on them, of course, and cooperate, so that we would be contributing something at the same time. I don’t think there’s any point in us developing a galactic force that would tempt us to ride on our own and get into mischief, which is one of the things that some of them are concerned about. SS: What do you expect to happen if people start to believe in alien existence on Earth? Things are definitely going to change: our lives aren’t going to be the same anymore. PH: I hope that’s the case. I am all for full disclosure, and I’m going to push very hard for full disclosure in the book I’m writing, to give some reasons for it, things that we really have to know and have a right to know. Our future as a species, and here I mean all of the species in the world, is potentially at risk if we don’t figure what’s going on and work together to try and make life more amenable for all of us, and to work with our neighbors from other planets as well. SS: Still, I’m thinking to myself – if they’ve been here for such a long time as you say, and they are interested in helping humanity, as you say, why is our world such a mess? If you want help someone, you just help someone, you don’t wait for that someone to invite you to help that someone, no? PH: I think parents sometime say to their children – “this is what you should do”, but that doesn’t mean children are going to do it, does it? The Cosmos is based on free choice. We’re given the option of making mistakes, of making wrong choices, and I guess, what bothers some of us, is that we’ve made too many wrong choices, and not enough right choices. So we’re going to have to start switching our priorities and stop spending so much time and effort on weapons to kill each other, or to dominate each other, and spend a lot more time on how to help each other to have a better life and a more just society, and life which is healthier. When the healthcare is better and when the food distribution is better and when the air is cleaner and water is cleaner and all of those things that are waiting to be done, if we just get together and, as we say, row in the right direction, in the same direction, it’s possible, but it’s a tall order and so far we haven’t done it. My thesis is that we have to do it, we have to start doing it right away. SS: Thank you so much for this interesting interview and insight on extraterrestrial life. 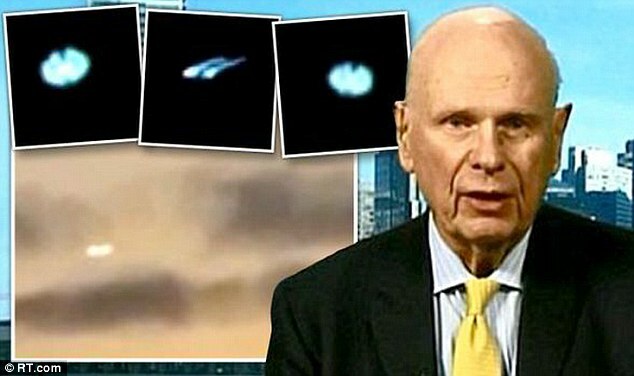 That was Paul Hellyer, a former Canadian Minister of Defense, who says aliens exist and live among us on Earth. That’s all the time we have for today, I will see you in the next edition of Sophie&Co. An ancient map of America—published in the 1500’s, depicts a mermaid holding a…UFO? What Is the So-Called Black Knight Satellite? 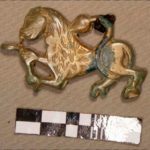 How Did 300-Year-Old ‘Jetons’ Of Sun King Louis XIV End Up In Siberia?